Obituary for Carol Dawn Prete | Grays Funeral Chapel LTD.
Tex, Brandon, and Brittani invite you to share the loving memory of Carol Dawn Grant Prete She passed away peacefully April 1, 2019 surrounded by her loving family. Carol was born June 12, 1964 in Melfort, Saskatchewan. She is survived and will be deeply missed by her husband Tex Prete and children Brandon and Brittani Prete; parents Lyle and Donna Grant; siblings Debbie Fidyk (Ernie), John Grant (Margot Diehl); mother in-law Sharon Schille; brother in-laws Matthew Prete (Shawna), Kirt Prete (Terri), Danial Prete (Dee Dee); sister in-laws Cindy Clark (Bill), Rachel Patenaude (Mark), Crystal Dorwart (Jason); numerous nieces and nephews; and her puppy Shadow. She is predeceased by her father in-law Robert Prete. Carol’s tenacious spirit extended throughout every aspect of her life. The most important thing to her was her family. She is known for spoiling them with her baking, especially Christmas Fudge. Countless hours were spent with her children at the skating rink, and she was a talented seamstress: from skating costumes to quilts for the whole family. Carol and her husband loved to travel. She can always be found behind the lens of her camera taking pictures of her flower garden. Her professional career began with study abroad at the former Rick’s College (now Brigham Young University - Idaho) in Rexburg, Idaho followed by Brigham Young University in Provo, Utah. Her Bachelor of Arts in Psychology was completed at University of Saskatchewan followed by her Bachelor of Social Work through University of Regina. Her 25+ years as a social worker were dedicated to protecting at risk children and counselling youth and adults at the local Department of Mental Health. Carol enjoyed many years of service within her church and this is something that she was very passionate about. She served in the youth programs organizing weekly activities, youth camps, and Sunday teachings. Additionally, she served in a leadership role in the Relief Society, the women’s organization within her church, providing service and support to the church congregation and the community. 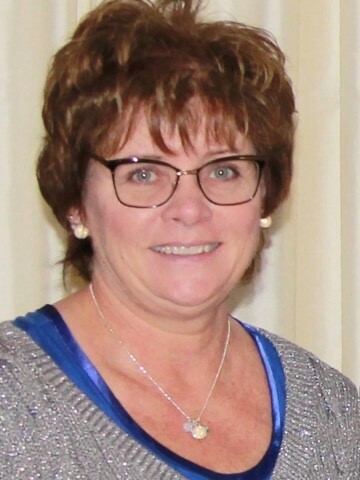 The memorial service will take place Friday, April 5, 2019 at 1 pm at The Church of Jesus Christ of Latter Day Saints, 452 30th Street East, Prince Albert, SK. In lieu of flowers, donations can be made to YWCA Kindred Spirit, a support program for women who are at risk of losing their children into the care of the Ministry of Social Services, or for women who are working toward having their children returned to their care.